FAQs About Title Insurance in Florida | DeLoach, Hofstra & Cavonis, P.A. Is title insurance needed when buying a home in Florida? ?Is title insurance needed when buying a home in Florida? ?What Is a Title Examination? These are just a few of the potential problems that can arise. Without the protection of title insurance, you would be in jeopardy of losing your investment. What types of title insurance are there? Two. The owner’s policy protects the homeowner or real estate investor. The loan (mortgagee) policy protects the mortgage holder by ensuring that its mortgage lien is the first lien on the property. 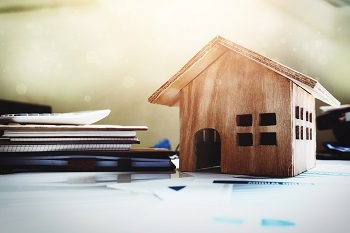 If you are financing your real estate purchase, your lender will require a loan policy. This is typically a closing cost of the buyer. Is there an annual premium for title insurance? No. You pay only once. There are no renewal premiums, and there is no expiration date on the policy. The protection lasts as long as you, or your heirs, retain an interest in the property. The real estate you own represents stability, permanence and the hope of the future. Don’t take a chance and let your property be taken from you because of a flaw in the title. It makes good sense, for the relatively small amount it costs, to protect yourself with title insurance. Please call me or fill complete our contact form if you have any questions about title insurance.